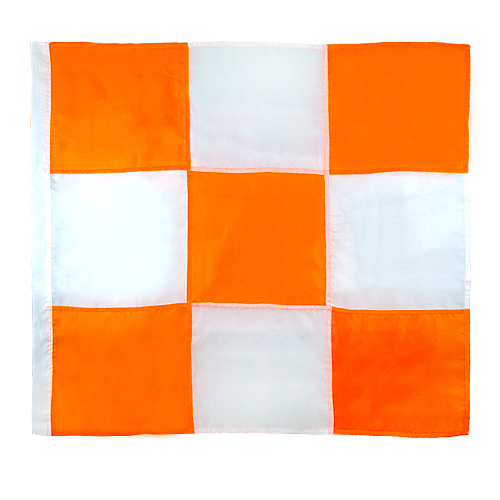 Mutual Orange & White Airport Flag - 36" x 36"
A heavy nylon 36” x 36” flag made of alternating 12” x 12” orange and white squares. Heavy-duty stitching and reinforced pocket make for easy mounting. Required by FAA and OSHA for all construction equipment and contractor vehicles in airports. Also available with a 5 ft wooden staff.